The average cost of memory care in Venice is $4,915 per month. This is higher than the national median of $4,650. Cheaper nearby regions include Englewood with an average starting cost of $4,345. To help you with your search, browse the 8 reviews below for memory care facilities in Venice. On average, consumers rate memory care in Venice 3.5 out of 5 stars. Better rated regions include Sarasota with an average rating of 4.6 out of 5 stars. Caring.com has helped thousands of families find high-quality senior care. To speak with one of our Family Advisors about memory care options and costs in Venice, call (855) 863-8283. Venice is a small city on the Gulf Coast of Florida, a state that has the second highest incidence of Alzheimer’s disease in the nation. According to the Florida Department of Elder Affairs, more than 510,000 people in the state are living with dementia, and this number is expected to increase over the next decade. The city itself has a little over 23,000 residents, with nearly six out of ten residents over the age of 65. To support seniors with Alzheimer's disease and other forms of dementia, the Venice area has 19 memory care facilities. Seven facilities are located within the city, while an additional 12 are located in nearby cities, including Sarasota and Englewood. 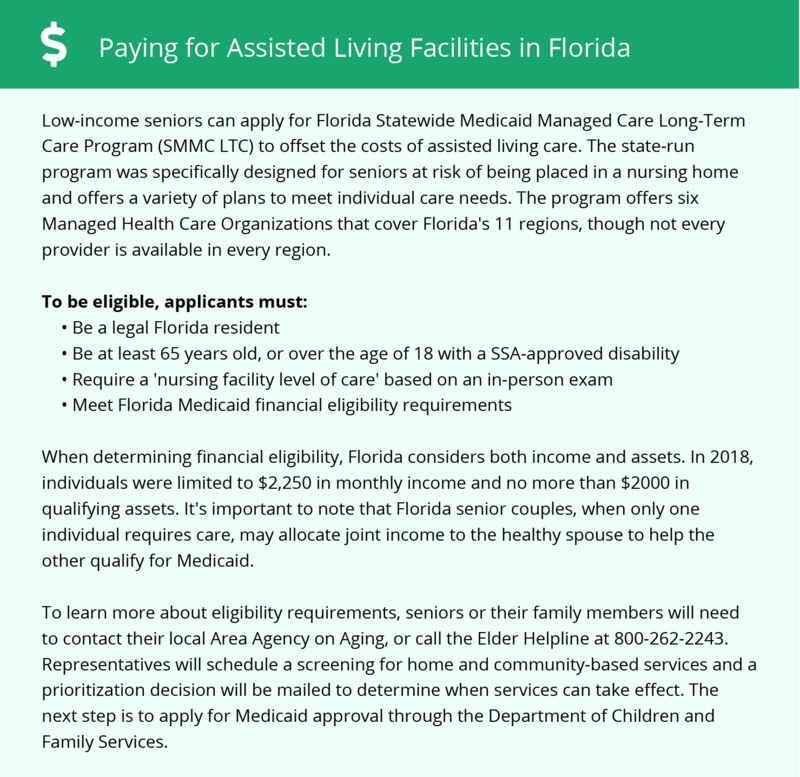 These facilities are housed within assisted living facilities that meet specific guidelines regarding staffing, staff training and facilities requirements. While overall living costs are higher in Venice than elsewhere in the country, they are slightly below Florida's overall living costs. The cost of healthcare in this city is about the same as state and national averages, which may appeal to seniors who are on a restrictive budget. Venice has relatively low property and violent crime rates that are below regional, state and national averages. On a scale of one to 100, with one representing low crime, Venice's violent crime rate is 14.7, compared to the state average of 35.9 and the national average of 31.1. The violent crime rate is a little higher at 36.1, but it is still lower than Florida's rate of 45.1 and the national rate of 38.1. This may make the city an attractive option for families who are helping their loved ones move to memory care here. The Venice area is home to world-class medical facilities, including those specializing in brain health and dementia care such as Bayfront Health, in the event of medical emergencies or illness. Florida has no state income tax, which means that seniors do not pay income tax on the Social Security income or any other type of retirement income. Memory Care costs in Venice start around $4,915 per month on average, while the nationwide average cost of memory care is $4,799 per month. It’s important to note that memory care rates in Venice and the surrounding suburbs can vary widely based on factors such as location, the level of care needed, apartment size and the types of amenities offered at each community. To see a list of free memory care resources in Venice, please visit our Assisted Living in Florida page. Venice-area assisted living communities must adhere to the comprehensive set of state laws and regulations that all assisted living communities in Florida are required to follow. Visit our Memory Care in Florida page for more information about these laws.